Potato chips are a perennial favorite. But did you know that there are gourmet potato chips? These chips are seasoned with everything from herbs to cheese to BBQ sauce to pickles to truffles and fruit. You'll find just about any ingredient or flavor can be paired with a potato chip! This unusual chip flavor from Great Lakes Potato Chip Co. has barbecue seasoning and cherry flavors. The combination of hot, spicy, and sweet is really delicious. 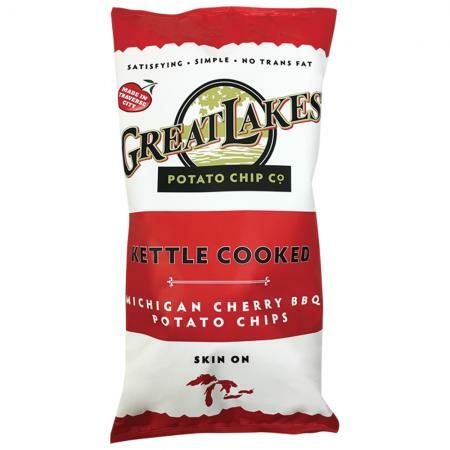 The company's Original version was voted number one in gourmet potato chips by the Chicago Tribune and reviewers noted how much they "loved" the Michigan Cherry BBQ flavor in their tasting notes. You can buy their chips in bulk packs through their online web store. Expect to pay $38 to $45, depending on the option you select. You can also find them in a store near you. 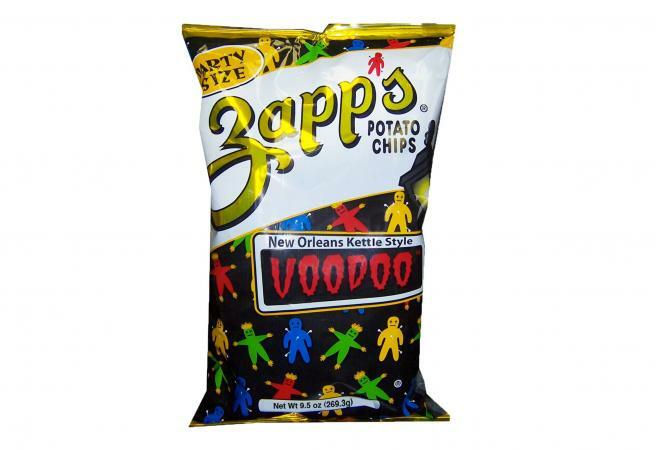 Zapp's highly rated and popular chip has a fun flavor. The spice level is high and the chips are crisp and substantial. The folks at Serious Eats rated them very highly. They are described as "It starts off with the vinegary nose of a salt and vinegar chip before settling down with the smoky sweetness of sweet barbecue sauce." Jalapeno and Old Bay seasoning flavors are also present. You'll pay about $21 for a pack of four 5-ounce bags at Amazon or in a variety pack with three other flavors at Utz for about $20. They are also available at most major grocery stores. The New York Times calls out Spanish company Torres's chips for their flavors that have an "air of luxury." Try the sparkling wine option for a unique mouth-feel; Torres recommends them for a special occasion. They also have flavors like Iberian ham and caviar. 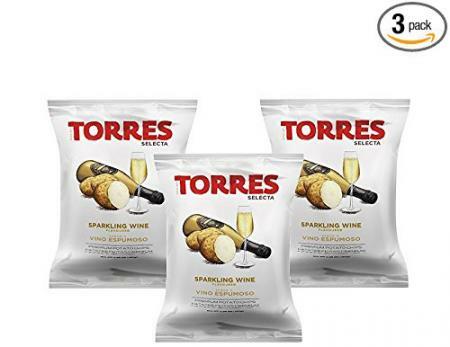 Purchase the sparkling wine chips through Chelsea Market Baskets for around $9 for three individually sized packages; they are also available at Amazon. These classic baked potato chips have been awarded the "Where Have You Been All My Life" award from THE NIBBLE. They come in flavors including Herbs de Provence, Rosemary, Sesame and Original. The thick chips are very crisp, tender, flavorful, and not at all greasy. 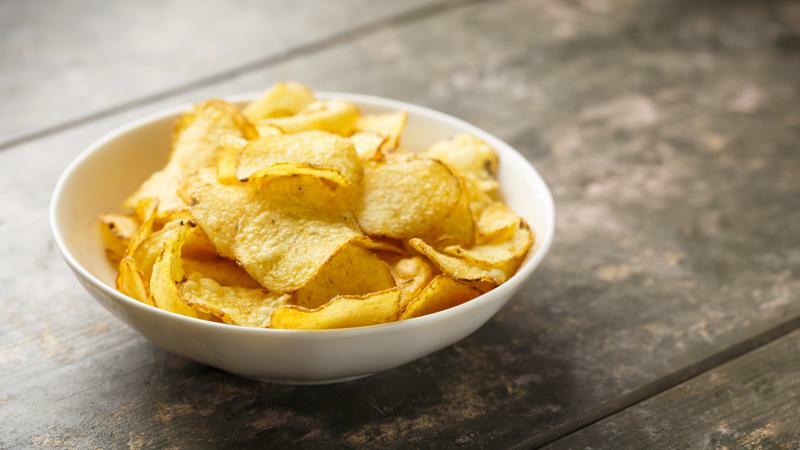 These chips are made from Yukon Gold potatoes, which have a buttery flavor and creamy texture. The chips are cooked in small batches and are not made with preservatives or additives. You can buy these chips by calling 1-800-993-7655 or email the order form at William Poll. You can buy three 4-ounce boxes for $25. 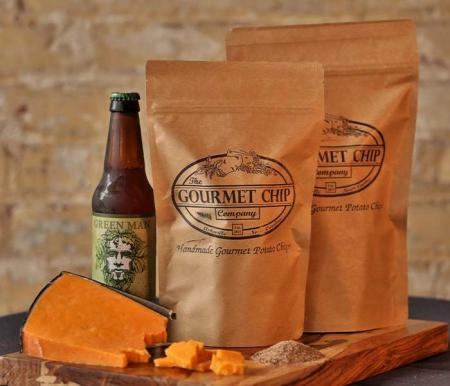 This flavor of chips is made with dehydrated beer powder, cheddar, and smoked sea salt. The combination of flavors is simply outstanding and very unusual. The restaurant where they are made, in Asheville, NC, has been highly rated by both TripAdvisor and Yelp visitors. You can buy them directly from the company for $21 to $24, depending on the bag size you select. Moroccan mountain herbs are picked for this flavorful chip. 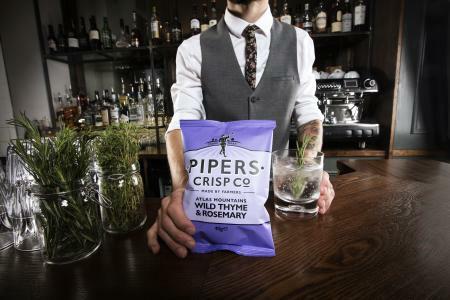 Pipers Crisp Co., a British potato chip company, was named a 2016-2017 Best Brand from readers of Fine Food Digest (pg. 6). It came in first in the Savoury Snack category. Get a 5-pack for $19 from Chelsea Market Baskets. 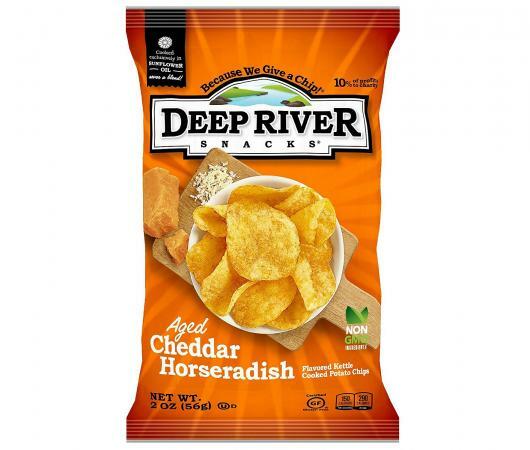 Watch for more flavors, like Kirby Malham Chorizo, as more come to the U.S.
Cheddar and horseradish provide incredible flavor in these super crisp chips from Deep River Snacks. They have hundreds of five star ratings on Amazon. These chips are kettle cooked so they are very crisp. One reviewer said they are "subtly sweet with lots of flavor." On Amazon, you can buy a 24 pack of 2 ounce bags for about $23. They are also available at most large grocery stores. These chips are really meant to be savored individually. They don't need to be served with a dip, and they will complement just about any soup or sandwich. Enjoy every bite.